One New Hampshire man is feeling grateful after his family had a close call. A New Hampshire native now living in Redding, California has lost everything in the Carr Fire that’s ravaging parts of California. Josh Lister grew up in Portsmouth and even though he’s lived on the West Coast for the last 17 years, he says nothing could’ve prepared him for this. “It’s always in the back of your mind, but you never think that it’s going to be this bad,” he told NBC10 Boston via Facetime on Wednesday afternoon. 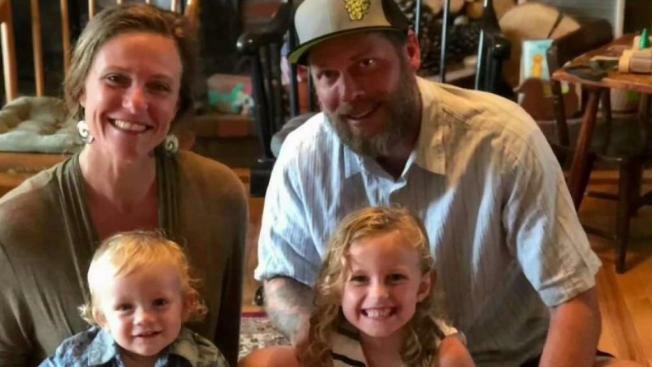 Last Thursday morning, Lister says he, his wife, and their two young kids woke up to the sound of deputies on loudspeakers outside their Redding home. His wife and kids left right away, but Lister stayed behind to grab as much as he could, including his daughter’s favorite stuffed animal. Within 20 minutes, Lister knew it was time to get out of there. He captured chilling video of the fire as he drove away. The Carr Fire has killed at least six people and destroyed nearly a thousand homes. It is now considered one of the most destructive fires in California’s history. As devastating as it is, Lister says even in this case, he’s finding strength in numbers. Lister and his family are staying with friends. When they’re allowed back to the spot where his house once stood, he says he’ll bring a metal detector to try to salvage anything he can. He says a lot of people are still stuck in emergency shelters and are in desperate need of basic necessities. He is encouraging New Englanders to help by finding a reputable agency and donating things like toothbrushes, socks, and clothes.